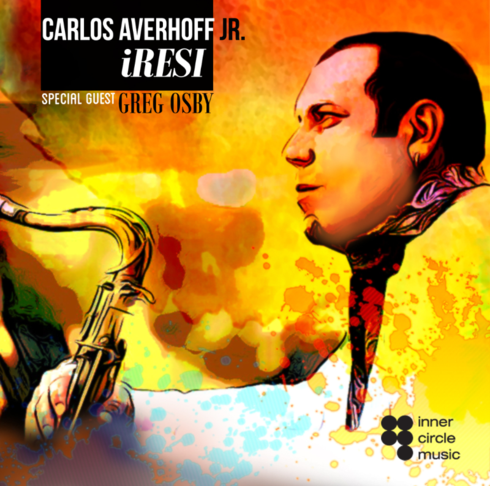 Tenor saxophonist Carlos Averhoff, Jr. draws on a rich cultural tradition blending infectious Afro-Cuban rhythms with intricate melodies delivered in a hard-driving manner on his impressive modern-styled, Latin jazz-tinged iRESI. A classically-trained musician from Cuba and the son of Miami-based saxophonist Carlos Averhoff, Averhoff, Jr. now resides in Boston after graduating from the prestigious Berklee College of Music and is a now an educator on the Berklee faculty and also teaches at the Concord Conservatory of Music. His career as a performer actually began in Cuba playing with pianist Roberto Fonseca among others and recording with the renowned Buena Vista Social Club before sharing the stage in the United States with the likes of fellow Cubans Chucho Valdes and Paquito D’Rivera along with jazz luminaries Dave Liebman, Jimmy Cobb, Louis Hayes and alto saxophonist Greg Osby who appears on this album as special guest. The idea for this remarkable recording was born back in 2008 while still studying music with the unusual title for the project, coming from a West African Yoruba word which means essentially, the inner light of your soul; the lucky star on your shoulder. Perhaps the inner light of Averhoff’s Cuban soul inspired him to pen compositions that, in some ways, mix the harmonies and rhythmic elements of Cuban music with modern aspects of contemporary jazz. As such, is an experiment of sorts, exploring new ground in attempt to find a new place on the ever-expanding landscape of this genre we call jazz. Helping the young saxophonist on his first effort as leader, are some first-call musicians forming a very tight quintet among them, alto saxophonist Osby whose own jazz music label, Inner Circle Music, releases this album. There is a strong Berklee College of Music connection here with fellow faculty members, acclaimed bassist John Lockwood and drummer Francisco Mela rounding out the rhythm section and fellow countryman and award-winning composer, Aruan Ortiz anchoring the section on piano. The one exception to the main theme of the album, is the gorgeous balladic “Alina” where the saxophonist plays it soft and gentle against the backdrop of Ortiz’s light piano and Mela’s soft brush strokes painting this one, sweet and mellow. Carlos Averhoff, Jr. is a dynamic fresh new voice on the saxophone, a talented musician who affirms that often stated axiom “the apple doesn’t fall far from the tree,” who here, plants a firm foundation with iRESI, a compelling musical statement deserving serious attention which no doubt, it will certainly receive.